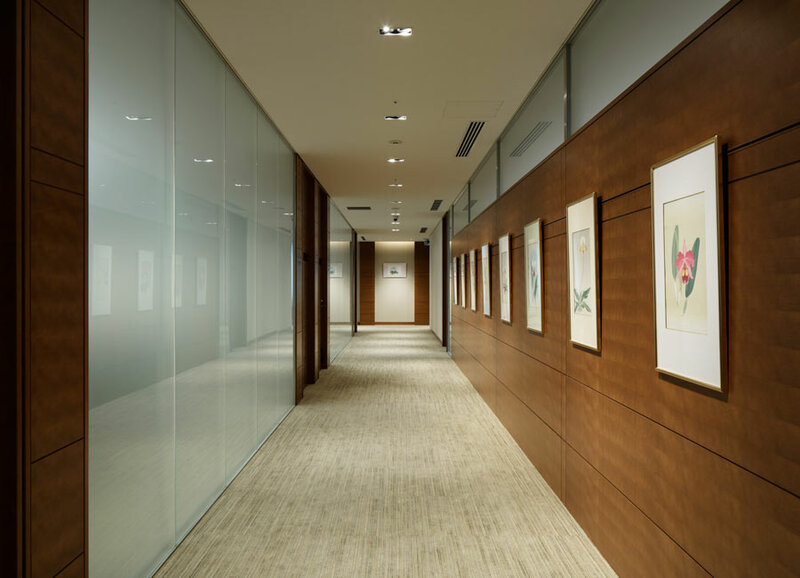 DIC, a global paint company based in Tokyo with more than 100 years of history, upgraded its headquarters in the Nihonbashi area. Steven Leach Group was responsible for the interior design. 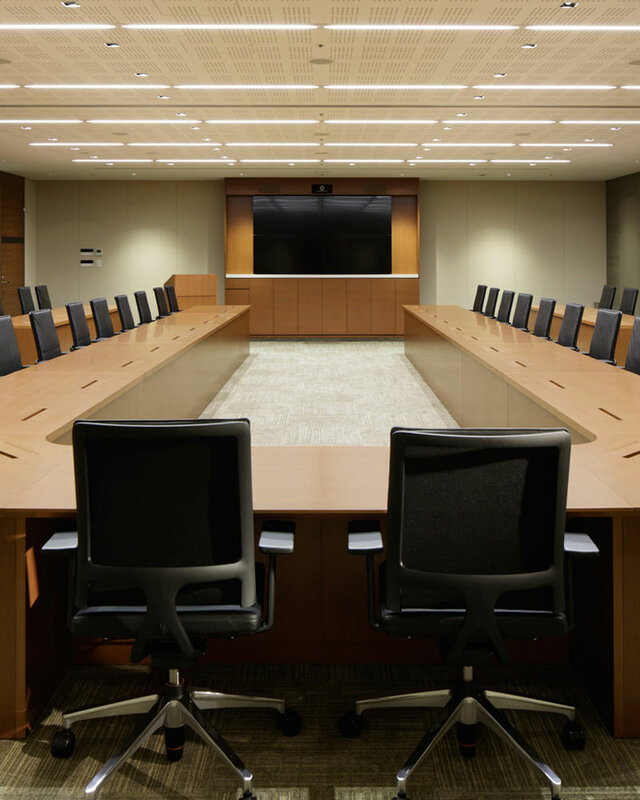 The design brief was to modernize the corporate image and create open space. Since DIC is known for its color in paint, the design was to revolve around colors. 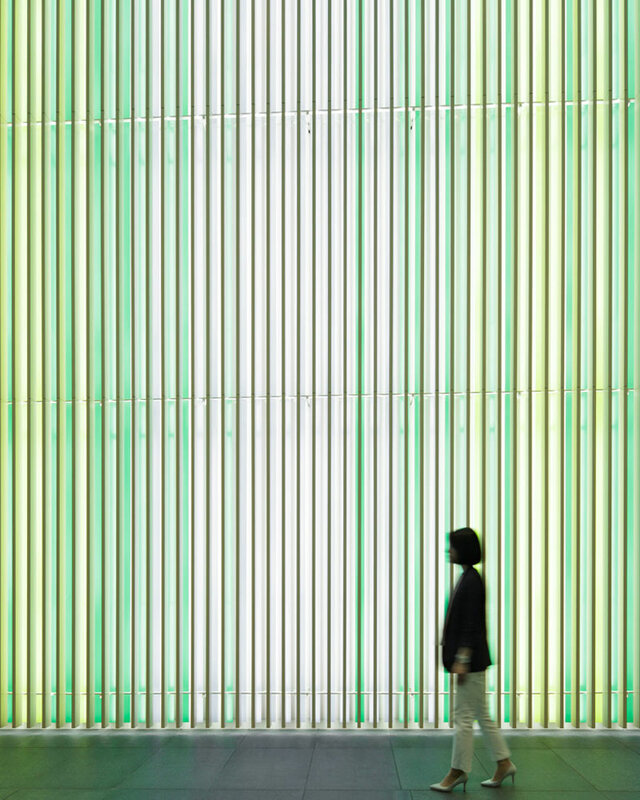 The main lobby wall of 9.5m high by 19m wide is the focal point of the space. 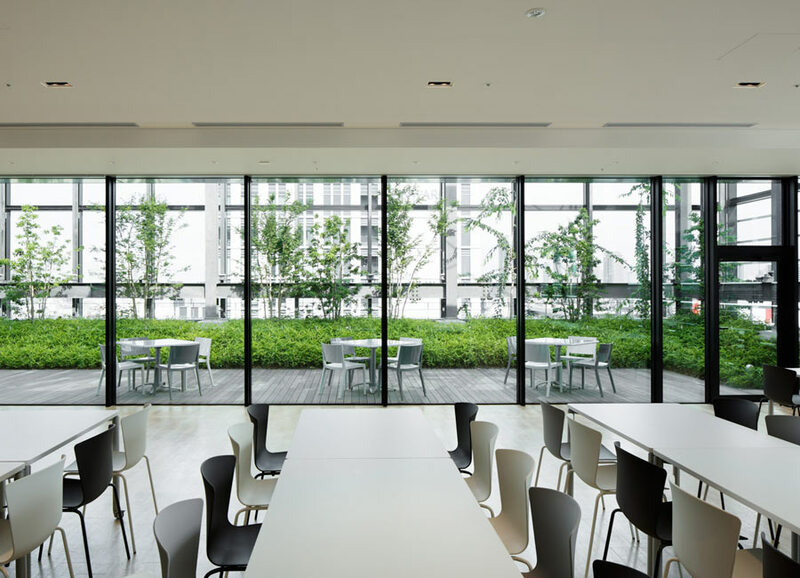 The top floor of the office building is occupied by a cafeteria with two outdoor terraces. 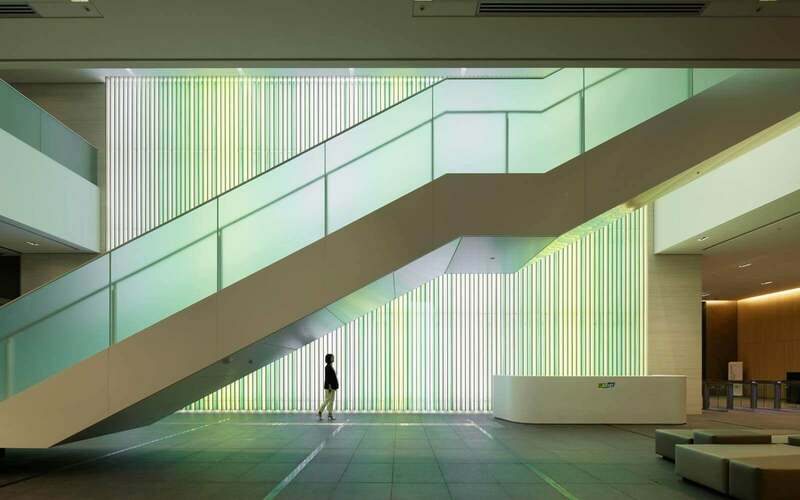 Throughout the building DIC’s building materials were used, showcasing their products in use.